With so many angles to the art of blogging, many writers have wondered what the benefits are to guest writing and whether or not they should take time off from their own endeavours to engage in this much spoken about practice. In every field and subject, a blog most likely already exists and has a decent reputation for providing quality content. These blogs – often viewed as enemies – can be valuable assets in building up your own web presence. We will review five reasons why you must consider guest blogging as a means to increase your own success and that of your blog or website. 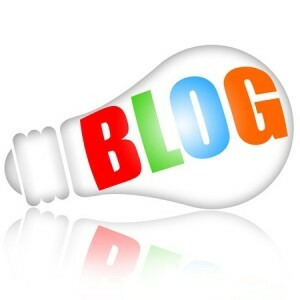 One of the best reasons for guest blogging is the backlinks that come with the territory. In many cases, the main trade off between two individuals involved with the guest writing process is that in exchange for a free blog post or article, the writer gets a “shout out” at the bottom of the article with a link to the writer’s website. Working with established blogs and sites that might otherwise be viewed as competition can be very valuable when a link from their site to yours is indexed by search engine spiders. Search engine algorithms can tell the difference and validity of each backlink, and there is no more effective backlink than one linking from a niche site to your own, especially when the sites share similar reasons for being. For anyone who is needing more traffic to their blog or site, guest blogging can be a godsend. There is no doubt that many people reading your guest blog piece will proceed to click on your site’s link, which will take them to your content and give you a better chance of gaining return traffic or in some cases, business. It is likely that you will receive anywhere from dozens to thousands of inbound clicks over the course of any guest blog post. We all know about site reputation via search engines, but what about personal reputation? Networking with other bloggers in your niche category not only gives you vital backlinks and traffic, but it also provides you with the chance to become a more respected subject in your particular field among webmasters and visitors. Visitors to other sites will recognise your name and site after a while, leading to greater respect for your content. After you have written some guest blog spots for another site, you may find them wanting to return the favour. There are obviously advantages for them, but you also get to have fresh content added to your blog with no work on your part. Diversification of content can lead to even better search rankings; you can keep tabs on your search engine ranking using Pingler’s Search Engine Position Checker tool. Perhaps your blog or site is not monetised, but there’s no reason why it cannot be monetised. Once your guest writing spots have landed you more traffic, consider adding minimal advertisements to the site in order to generate passive income. You can also end up scoring writing jobs through other sites by those individuals seeing your guest blogs on other sites. They may enjoy your content and decide to employ you on a part-time or full-time basis; yet another great reason to provide the best guest blogging content possible! « To Comment Or Not to Comment? Just make sure to start using the rel=author tag everybody. It’s already beneficial but I think it’s going to be a major advantage on your competition if you have a personality/blogger with a high “AuthorRank”. IMO. Nice article thanks for the additional info! Thanks for the post on how to automatically ping IP address!! Great article! I have been contemplating this over the last couple of weeks or so. I publish fresh content to my blog everyday, but recently I have been doing more and more videos, but I still like to write. I think I will do some guest posts and then just publish the videos I create on my blog as a new strategy.